Penske Truck Rental announced on Wednesday that Denver was named the seventh top place to move in the country, moving up two spots to take Seattle’s place and surpass Chicago, according to a post on www.9news.com. “The top half of our list are warm weather locales where our business interests have steadily increased,” said Don Mikes, Penske senior vice president of truck rental. 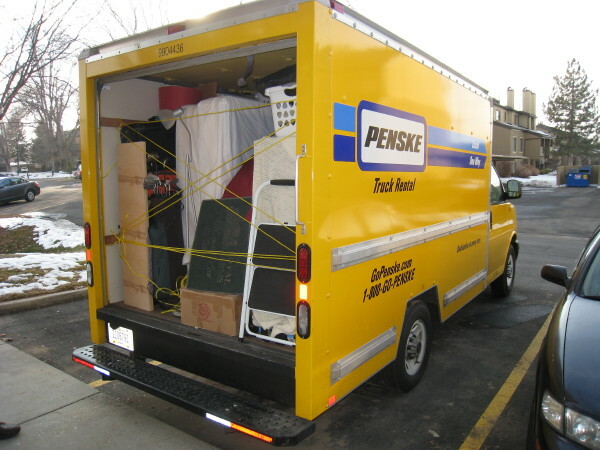 Here are the 2014 top 10 moving destinations: The 2013 ranking is noted in parentheses. Terminal Bar, located in Denver’s Union Station at 1701 Wynkoop, is offering S’mores to celebrate the beer garden’s new outdoor fire pits. S’mores are available from 2 to 7 p.m. every Saturday for $5 each. The fire pits will allow guest to enjoy a beverage on the beer garden, while staying warm during the cold winter months. 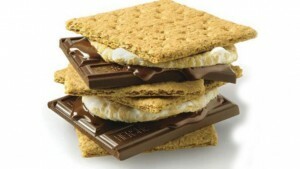 Each S’more will consist of a roasted marshmallow and a layer of chocolate sandwiched between two graham crackers. The best of Jewish cinema comes to Denver Wednesday through Feb. 15 during the 19th Annual Denver Jewish Film Festival. Festival highlights include opening night celebration on Wednesday celebrating honoree Kathy Neustadt and a special screening of the Jewish family comedy “It Happened In Saint-Tropez” by Danièle Thompson; Executive Producer Nancy Spielberg’s documentary “Above and Beyond” on Thursday; the black horror comedy “Big Bad Wolves”on Feb. 9, of which renowned director Quentin Tarantino declared “the best film of the year” in 2013; Executive Producer Chelsea Clinton’s documentary short “Of Many” on Feb. 11 and “Zero Motivation” on Feb. 15, which was honored at the Tribeca Film Festival and received six Ophir Awards. Tickets can be purchased by calling the box office at 303-316-6360 or by visiting www.maccjcc.org/film. For a detailed film festival schedule, go to http://bit.ly/1HPEt23. Elitch Lanes, the 63-year-old bowling alley at 3825 Tennyson St., will host its last bowlers on May 17 when the lease on the historic building runs out. Business owner Cal Eichinger, who’s owned the kitschy place for 13 years and has been in the bowling biz for 40 years, said he wasn’t surprised when land owner Littleton Capital Partners declined to renew the lease. With Denver’s land values hitting record highs, Eichinger figured that the landlord can sell the site for beau coup bucks or lease it to a tenant with deeper pockets. An e-mail and phone call to Littleton Capital Partners were not returned. The building housing the bowling alley was built around 1900 as a trolley turn-around structure that was later converted to a coal barn, Eichinger said. It was part of the original Elitch Gardens amusement park and performing arts center location on West 38th. The Gardens moved, but the Lanes didn’t. Eichinger said he’s been notifying the regulars little by little. “Some of the seniors are so bummed out,” he said. 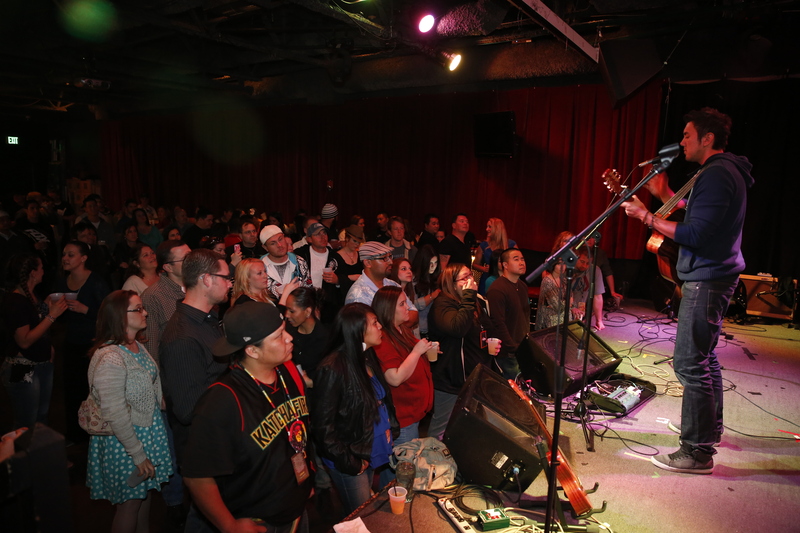 But there’s a chance that Elitch Lanes will roll on in a new venue. Eichinger, who owns the name Elitch Lanes, said he’s meeting with another land owner today to discuss taking over an existing bowling alley 4.4 miles (he wouldn’t say which direction) from the existing business, which likely will take him to the ‘burbs. To thank that customer base, Eichinger said he and his crew will throw a big exit bash around the May 17 closing date. owner of the 63-year-old Elitch Lanes bowling alley at 3825 Tennyson St. wasn’t totally surprised when the building’s landlord declined to renew the lease on the expensive piece of land. Out of town friends or family traveling here for the AFC Divisional game at Sports Authority Field Sunday? Denver welcomes Colts and Broncos fans alike with suggested hotels, dining options and sightseeing venues. The Mile High City loves out-of-towners who spend their money here and go home, but if you’re betting on the wrong horse, let there be no doubt that this is Broncos country. Visitors coming to see the Denver Broncos face off against the Indianapolis Colts at 2:40 p.m. Sunday can also see a priceless exhibition of jewelry, dine out in a restored train station, stay at new “historic” hotels, grab brunch in the trendy LoHi, Baker, or RiNo neighborhoods, or take a walk on the Denver Beer Trail in America’s craftiest beer city. Here is a list of stay, dine and see spaces compiled by Visit Denver, Denver’s convention and visitors bureau. There are 44,000 hotel rooms in Denver with 9,400 rooms downtown offering easy access to Sports Authority Field at Mile High Stadium. Most of the downtown hotels are just a block or two from the 16th Street Mall, Denver’s mile long pedestrian walkway. Hop on a free bus to Union Station, and catch the Light Rail two stops to the football stadium. Or you can travel there by pedicab or join the parade of people who walk across two pedestrian bridges to the South Platte River and walk along a paved river trail to the stadium. This historic 112-room property opened in August 2014 as the centerpiece of the newly restored 1914 Union Station and offers three styles of rooms. The Pullman rooms on the second floor are modeled after the luxury private sleeping cars of old. The Classic rooms on the third floor come with tall ceilings and large windows. The former attic area is now the Loft, featuring exposed wood timbers, vaulted ceilings and a more contemporary design. To make the most of the architectural features, most of the rooms in the hotel are one-of-a-kind designs and shapes. The hotel shares The Oxford Club Spa with the award-winning Oxford Hotel across the street. This full-service, four-star, 221-room hotel opened in May 2014 in the restored Colorado National Bank Building, which was originally built in 1915 from the same white marble used in the Lincoln Memorial and the Tomb of the Unknown Soldier. The hotel incorporates many historic details from the old bank, including three vaults with 33-inch thick doors that now serve as meeting rooms. The ground floor restaurant, Range, specializes in foods of the American West with many Colorado specialties, while the lobby bar is surrounded by huge, wall-size murals painted by local artist Allen Tupper True. Considered one of Colorado’s premier native-born artists, True focused his work on Western subjects. The murals in the hotel depict the lives of American Indians on the Plains region during the 1800s. Football fans are lucky that Denver is hosting two world exclusive art exhibitions in January and is a year-round destination for professional sports and locally crafted beer. If you arrive a day or two early for the game, make sure to take some time to visit Sports Authority Field at Mile High. The stadium is home to the free Colorado Sports Hall of Fame, which highlights the achievements of the great athletes who have played for the Broncos, Nuggets, Rockies, Avalanche and others. You can also get a behind the scenes look at this state-of-the-art football stadium on a 90-minute guided tour (offered every hour from 10 a.m. to 2 p.m. Thursday through Saturday. The Mile High City brews more beer than any other city. From the world’s largest single brewing site, Coors Brewery in nearby Golden, to small tasting rooms with only a dozen chairs, Denver has more than three dozen breweries in and near downtown and more than 100 in the metro area. In 2013 and 2014, metro Denver opened a new brewery on average every other week. There are several beer tour companies set up that will drive you to several of the coolest – and tastiest – breweries near downtown Denver. Or, go out and explore on your own with some guidance from the Denver Beer Trail. Mark Mothersbaugh: Myopia at Museum of Contemporary Art Denver (MCA), through April 14. Organized by MCA Denver, this retrospective exhibition brings together the first comprehensive presentation of Mark Mothersbaugh’s art and music to date, from the beginning of his career in the early 1970s through the present. Though well known around the globe as a founding member of the popular band Devo, Mothersbaugh has been a prolific artist since before the band’s inception. Brilliant: Cartier in the 20th Century at the Denver Art Museum, through March 15. This worldwide-exclusive exhibition at the Denver Art Museum includes an astonishing assortment of jewelry, timepieces and precious objects from the Cartier collection. Many of the pieces in the exhibition were owned by aristocrats, celebrities and royalty, including Princess Grace, Elizabeth Taylor, the Duke and Duchess of Windsor, J.P. Morgan and the Aga Khan, among other luminaries. Before the game, explore some of Denver’s trendy neighborhoods, all of them accessible from downtown. Denver’s historid Beaux Arts 1914 train terminal reopened with 10 new restaurants and bars in July 2014, as well as a selection of fine retailers including a branch of the popular Tattered Cover Bookstore. Local powerhouse chef Jen Jasinski (winner of the 2013 James Beard Award for Best Chef Southwest) has opened Stoic & Genuine, a seafood-centric restaurant in the tradition of Grand Central Station’s Oyster Bar, while Alex Seidel (Food & Wine’s Top New Chef of the Year 2010) has opened Mercantile, featuring locally sourced, farm-to-table items from his sheep farm located in nearby Larkspur. For larger groups, The Kitchen Next Door offers community-style seating and casual atmosphere. Step up to the Terminal Bar, situated in the station’s old ticket windows, to order one of 30 Colorado beers on tap, or relax in the Cooper Lounge overlooking the station’s grand hall. Connected to downtown by three pedestrian bridges, LoHi has become one of Denver’s most popular dining destinations. Linger is housed in an old mortuary and was selected by Travel + Leisure for having one of “America’s coolest rooftop bars.” Sister restaurant Root Down has a menu dedicated to locally sourced foods, while Ale House at Amato’s has 45 local beers on tap, outdoor fireplaces and an expansive city view. The walls of Denver Beer Company literally “roll up” (it was once an auto repair shop) and the outdoor beer garden has picnic tables and food trucks. Nearby, Prost Brewing has copper kettles from Germany and a delicious selection of sausages. Colt & Gray, Old Major and Duo are local neighborhood favorites, while My Brother’s Bar is a Denver institution, once frequented by beat generation legends Jack Kerouac and Neal Cassidy. RiNo is a former industrial neighborhood that is exploding with art galleries, restaurants, breweries, distilleries, and even a winery (with the grapes supplied from the Western Slope of Colorado). Swing by The Source, an old brick manufacturing plant that now houses a bakery, butcher, florist, the acclaimed Acorn restaurant, street tacos at Comida, Crooked Stave brewery known for their wide variety of sour beers and several shops. Work & Class, Populist, the Butcher Block, and Amerigo Delicatus are just some of the new restaurants gaining national attention. Down the block, Infinite Monkey Theorem Winery is building a name for its canned sparkling wines, while Epic, River North, Black Shirt and Our Mutual Friend are just some of Denver’s breweries located in this area. Yet another hip neighborhood with new eateries, bars and nightspots is just one mile south of downtown along South Broadway. Check out the rooftop decks of the Historian Ale House or the Irish Rover, stop by for palm trees and umbrella drinks at Adrift Tiki Bar, or play a game of bowling, darts or shuffleboard at the massive 20,000 square foot Punch Bowl Social. From fine dining at Beatrice & Woodsley to homemade Sweet Action Ice Cream, Baker has a Brooklynesque feel with pizza shops next to bookstores on a street lined with one-of-kind clothing shops, galleries, original home furnishings and music clubs. The Walnut Room, RiNo’s music venue and pizza place at 3131 Walnut St., is celebrating its 10th anniversary with a hearty party from 5 to 11 p.m. Friday with drink specials, complimentary appetizers and pizza and free performances by Adrienne O, Andy Palmer, Roo & The Howl, Matt Hoffman of Strange Americans and DJ Social Lubrication. The event is for guests 21 and over. For years, musician and entrepreneur John Burr dreamed about creating a place where fellow musicians could relax after rehearsing at his RiNo sound studio. 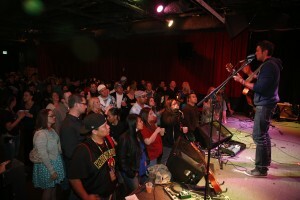 He envisioned a venue that hosted live music and served the thin-crust pizza from his childhood. 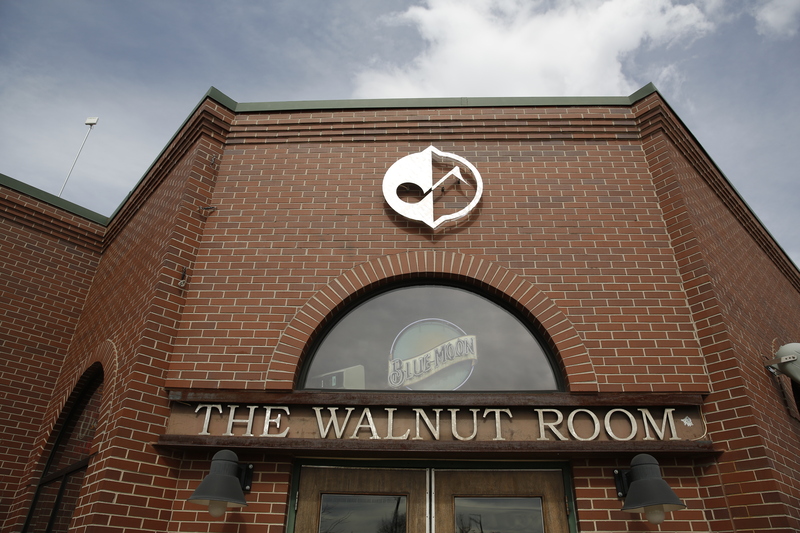 In January 2005, Burr’s dream became a reality and The Walnut Room was born. A decade later, The Walnut Room has become one of the premier venues for local bands to play and a popular dining spot for its palate-pleasing pies. In addition to hosting some of the city’s top bands, The Walnut Room has featured such established acts as Chris Isaak, Jewel and The Fray. “The Walnut Room’s anniversary is really a significant milestone. We are proud to have survived a decade in an emerging neighborhood and grateful to have carved an identity for ourselves that has resonated with the public,” Burr said. Burr plans to build on The Walnut Room’s reputation for hosting some of the city’s best live performances with an expanded kitchen which will allow the venue’s menu to grow this year. Since opening the original Walnut Room location at 3131 Walnut St., Burr has expanded his pizzeria business to include a second outpost on South Broadway. For more information, go to www.thewalnutroom.com/walnut-street/. More than 100,000 spectators braved the cold temperatures to ring in the new year on the 16th Street Mall during the 13th Annual New Year’s Eve Fireworks Downtown. Two eight-minute shows with nearly 15,000 blasts exploded across the Denver sky in a myriad breathtaking and dramatic methods. 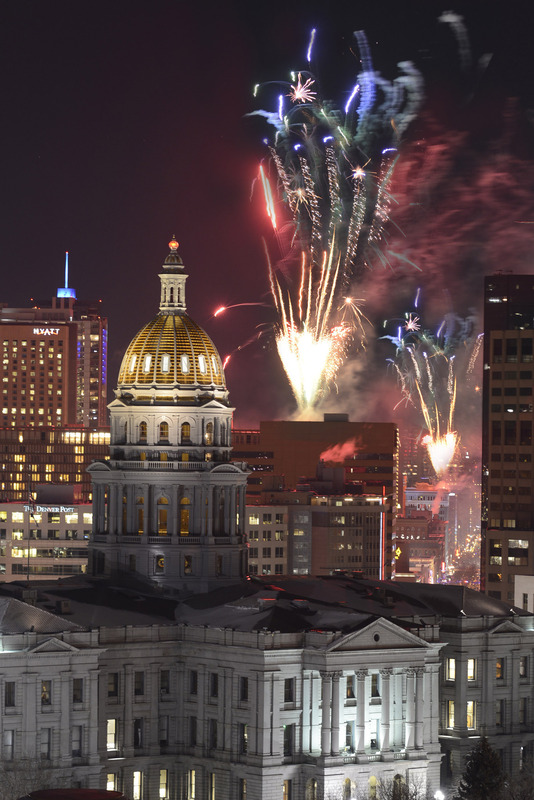 With a 40-second finale, the hits rumbled Denver into the new year. DJs along the 16th Street Mall and festivities at the Southwest Rink at Skyline Park ramped up the energy between shows as people celebrated throughout the city center. The fireworks shows at 9 p.m. and midnight were created and managed by Western Enterprises, Inc. Launched simultaneously from two undisclosed locations downtown, the shows were fired using pyro seeking, the industry’s most advanced in digital firing technology, and SMPTE time code signal for synchronization with the music from the DJs. Nearly 600 cues were fired per show, and approximately 2,400 cues were fired overall. The New Year’s Eve Fireworks Downtown were presented by the Downtown Denver Partnership and co-sponsored by Visit Denver and the Downtown Denver Business Improvement District. Millennials, the darlings of marketers at ages 35 and under, are desirable residents as young professionals, lifestyle fanatics and first-time homeowners. Analysts at the news site Vocativ set out to determine the best U.S. cities for people 35 and under starting with the 100 most populous cities in the U.S., as reported by The Huffington Post. Night out: the average cost of beer, wings and (gasp!) weed. Housing: monthly rent for a two-bedroom apartment, the cost of Internet and price of cleaning services. Getting around: percentage of population using public transit, the average price of gas, cost of a five-mile cab ride. Jobs: the median salary, unemployment and job growth rates. Food: the cost of groceries and number of coffee shops and take-out restaurants per 100,000 people. Appeal: number of sunny days per year, walkability, amount of violent crime. 4. Denver (ranked high in food and entertainment). For the rest of the story, go to www.huffingtonpost.com/2014/12/29/best-cities-for-millennia_n_6374304.html. While I much prefer to write about restaurant openings in our fair city, inevitably there are those that close. Some are big losses to our Mile High palate, others were more obviously headed for an epic fail. Thrillist.com, the irreverent food and drink website, has compiled a list of the “12 shuttered Denver bars and restaurants that we’ll miss.” They are: Bonanno Bros. Pizzeria in the Vistas at Park Meadows, Catacombs Bar in Boulder, Corner House Neighborhood Eatery in Jefferson Park, Chef Liu’s Authentic Chinese Cuisine in Aurora, Le Grande Bistro & Oyster Bar downtown, Ondo’s Spanish Tapas Bar in Cherry Creek, Oshima Ramen in Southeast Denver, Row 14 Bistro & Wine Bar downtown, Restaurant Kevin Taylor downtown, twelve restaurant in ballpark, TAG Raw Bar Larimer Square, T-Wa Inn Southwest Denver. Read more about each closure at www.thrillist.com/eat/denver/denver-bars-and-restaurants-that-closed.